Rafting in Norway is a full day’s activity and you are guaranteed an unforgettable experience and some spectacular nature. For those with waterproof cameras they can be brought along too as there will be opportunities to take photos. The tour does not require guests to have any previous rafting experience but all guests are required to know how to swim. The Rafting tours are a really nice nature experience out of the ordinary. We adapt the difficulty level to you and your group’s liking, and we place a great emphasis on the social and fun aspects of the trips. There are different challenges that guests can experience on the trips, such as surfing the raft on a rapid, purposely flipping the boat, special rescue exercises and even the possibility of jumping into a plunge pool from a 5 or 12 meter drop. River Boarding in combination with Rafting is also an option. Choose between family trips or more challenging adventures. On this trip we paddle through easier sections of the rapids. We enjoy and learn about the river’s amazing powers. Children must be at least 10 years old and have good swimming skills. The tour is well suited for all first-time rafters. 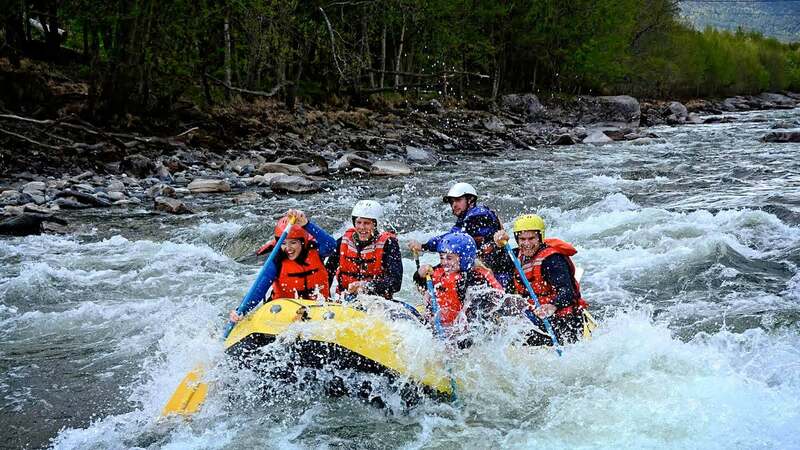 On this trip you will tackle the stronger rapids and experience plenty of white water action. This is the opportunity to challenge the river in full, but we still have the opportunity to customize the difficulty desired to both you and your group. The tour ends with the opportunity for cliff jumping in the beautiful and wild river Veo. To participate in this tour must be at least 16 years and have good swimming skills. This trip is a combination of rafting and river boarding. One must be at least 16 years and there are requirements for good swimming skills. Looking for an adventurous winter activity? Try the unique experience of snow rafting in Norway. Yes: that is exactly what you think it is. Find out more!